Antique bricks and paving stones add character and distinction to any outside area. 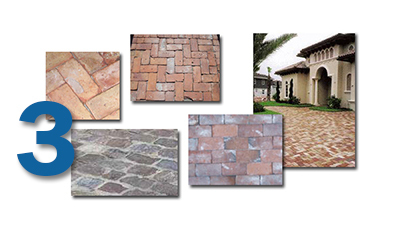 Reclaimed from a variety of historic buildings and streets from Georgia, Chicago, Detroit and St. Louis, each brick and paving stone is naturally weathered and unique. Our Pavers and Hardscaping Photo Gallery has some great images. 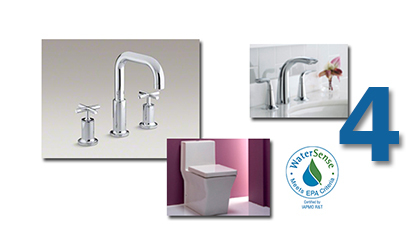 Faucets with low-flow aerators deliver up to 45% water savings over traditional 2.75 gpm faucets. 1.75 gpm water-conserving showerheads and handshowers deliver an impressive 35% water savings over traditional 2.75 gpm showerheads and handshowers. Find beautiful ways to conserve water in our Bathroom Photo Gallery.